Each political cycle, Hearst TV increases the news resources it plans to dedicate to political coverage and this year’s mid-term elections appear to be no different. 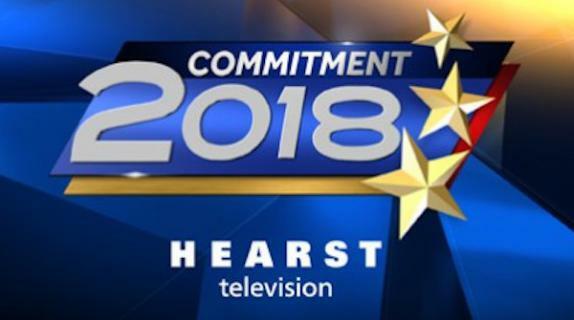 Hearst owns stations in 26 markets across the U.S., who will produce political news this cycle under the “Commitment 2018” banner. That will include each station tackling one major policy issue — such as public health, education, immigration or the opioid epidemic — and reporting on that issue both on the air and across stations’ digital platforms. Hearst recently launched its own platform, Stitch, which highlights local stories that resonate nationally and the group kicked off 2018 with in-depth looks at health care in stations’ local communities. As the political season gets underway, Hearst is adding resources at its Washington, D.C., bureau, which was first established more than 20 years ago. These resources will be focused on holding candidates accountable, fact-checking their speeches and statements and tracking their positions. The group also plans to offer some 50 multi-platform events – including debates, issue-focused specials and town halls – with each station pledging to host at least two of these. Hearst also produces weekly news program Matter of Fact with Soledad O’Brien, which airs on Hearst-owned and other TV stations across the country.